Ms. Ali is part of a growing number of women and girls who are rejecting female genital mutilation (FGM), a harmful practice that is alarmingly common in Egypt and around the world. 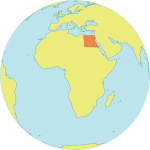 Some 92 per cent of married Egyptian women and girls, aged 15-49, have been subjected to the practice, according to a survey from 2014. FGM serves no medical purpose, and it can lead to shock, haemorrhage, infection, chronic pain, complications in childbirth and even death, and it is internationally recognized as a violation of the rights of women and girls. Yet it persists. An estimated 200 million women and girls globally have undergone FGM. 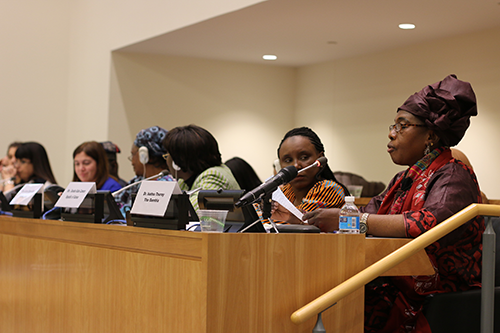 “If we allow survivors to talk about the practice in a way that they feel dignified, without anger and resentment, then we are able to create change, at least for the parent who is going to send their daughter to be cut,” said Fatima Porgho, an anti-FGM activist and a survivor of the practice, at a high-level forum held yesterday at the United Nations in New York. 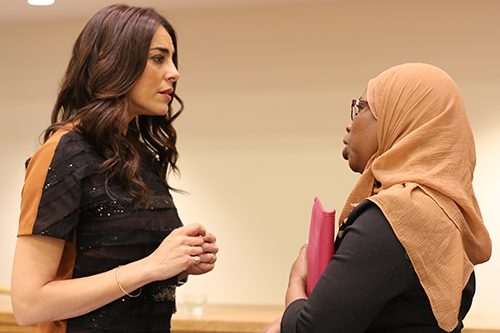 The event, part of the 61st Commission on the Status of Women, brought together experts, leaders and advocates to discuss ending FGM by 2030. Panellists reviewed the progress that has been made and shared best practices. Communities are increasingly embracing the need to end FGM, they said. But there are still many obstacles. Efforts must be intensified, attendees agreed. “Even though substantial progress has been made to end FGM, more than 3.6 million girls are still at risk every year,” State Secretary Laila Bokhari, of Norway, told attendees at the event. The key, the panellists agreed, is engaging communities on the harms of FGM and the human rights of girls, and empowering those communities to collectively choose for themselves to abandon the practice. The first step in this process is reaching passionate and influential community members like Ms. Ali. 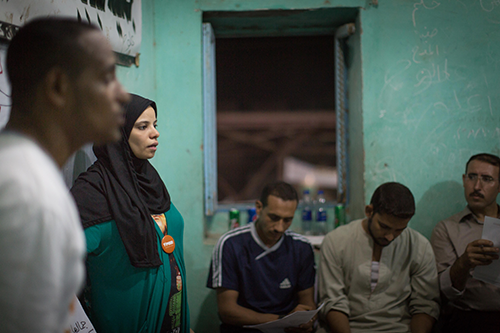 Two years ago, in her village of Assiut, Egypt, Ms. Ali learned about the harms caused by FGM at a UNFPA-organized youth training. She was inspired to bring these issues to the rest of her community, including mothers, fathers and local leaders. She also recognized that young people are critical to abandoning FGM, and has given training sessions in Assiut and surrounding villages to young men and women between the ages of 18 and 25. UNFPA and UNICEF together run a joint programme that works at the community, district and national levels to help eliminate FGM and promote gender equality. These efforts are handled with great sensitivity to ensure community members feel welcome to engage in these discussions openly and candidly.